35 musical acts! Food! Fun! Creativity! Technology! 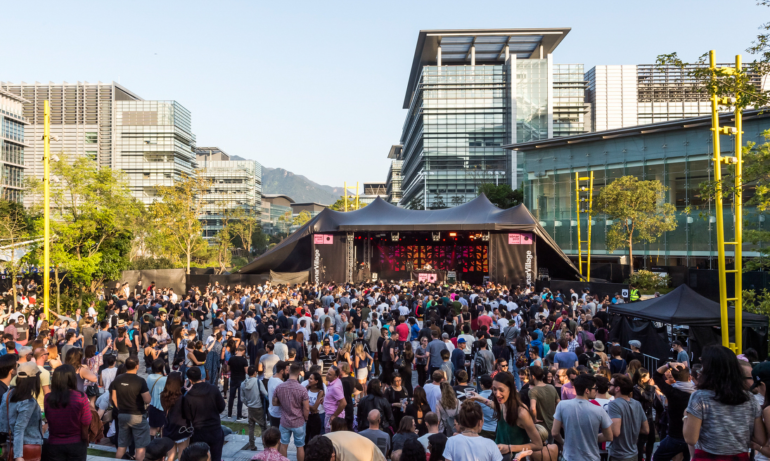 Those are just some of the starting points for the Sónar Hong Kong 2019 Festival, now in its second year at the Hong Kong Science Park. 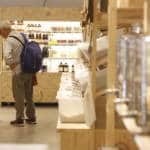 What had originally started in Barcelona 25 years ago, has branched out to Hong Kong and is headed by the group who put out the highly successful Clockenflap Festival in the city. Danish electropop singer Mo tops the lineup, and the rest is pretty good too, including British trip hop maven Bonobo, Grammy award winner Thundercat, Spanish producer John Talabot and Aluna George, as well as several local acts like Miss Yellow and Alexmalism. Aside from music of all genres, there will also be talks, workshops, audio-visual performances and art installations which are all designed to be participatory and user friendly. Early bird tickets for the 15 hour event are currently on sale now via various outlets. This includes a HK$580 pass for all outdoor activities from 12pm until 10:45 and all indoor activies from 12pm to 10:15pm. A Sonar Pass and Late Night Pass for HK$780 offers admission from 12pm until 3pm. What do you do when you have the fourth biggest concert tour of all time? If you’re Ed Sheeran, you keep on going. And among the English popster’s 261 world dates is something unique: two shows at Hong Kong Disneyland on April 17th and 18th. 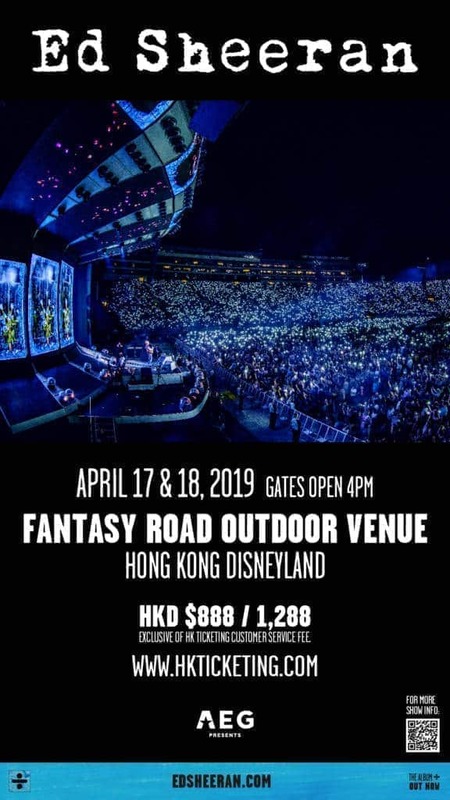 A bike accident forced the singer to cancel his previous scheduled performance here last year, so demand is sure to be high for these shows at the Fantasy Road Outdoor Venue in Disneyland, a unique setting that may have even casual music fans turning out to see how it all unfolds. Fresh off her recent Las Vegas residency, the original “Hollaback Girl” will be returning to the city for the first time in over a decade to coincide with the 2019 Cathay Pacific/HSBC Hong Kong Sevens. Expect plenty of high-energy moves and crowd interaction from the three-time Grammy winner, inclduing a dip into her No Doubt back catalog. 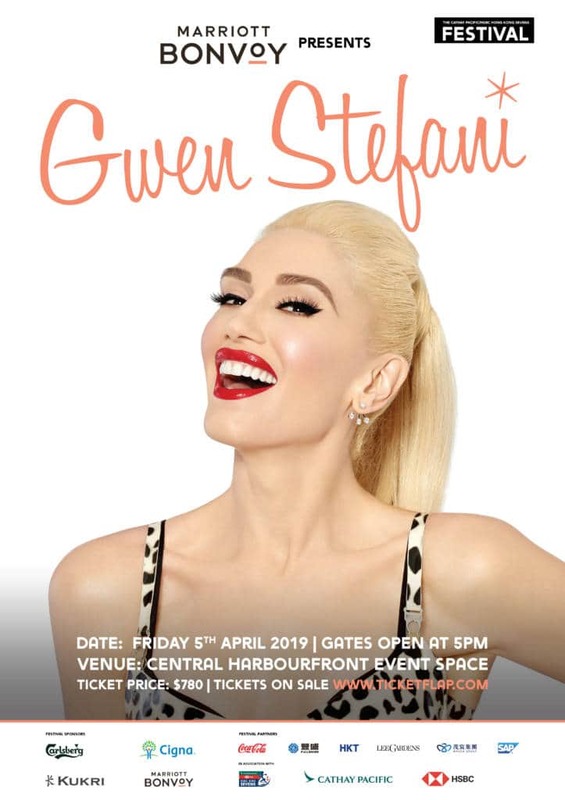 With the Hong Kong Harbourfront and the entire city as a backdrop, Gwen Stefani will surely pump up the crowd to Mach 3 levels during one of the city’s biggest weekends of the year. One word of advice though—get there early as doors open at 5pm! Though he performed at a private event in the city about a decade ago, this will be John Mayer’s first official concert in the city, which is big news for some. Sure, he’ll no doubt play old hits like “Your Body Is A Wonderland”, but over the last few years the seven-time Grammy winner has gained a real following among musicians for his stints with the Grateful Dead and his increasingly muscular blues approach. Musician Chris B. has been one of the city’s foremost promoters of live local music for over a decade now, and at celebratory Underground Anniversary Party on April 13th, she’ll celebrate 15 years of shows (featuring a whopping 600 acts!) with an evening filled with exciting local talents. Those who head out to Grappa’s on April 13th will get to see Bliss, who have supposedly been called “Hong Kong’s Sexiest Rock Band”(! )—and plenty more, including Cracklebox’s alternative indie pop, new band Sunset Moth, rock by Bliss, per se’s poetic pop, rock by Senseless, and a blend of psychedelia and dance by headliners Shumking Mansion. It promises to be a marathon night (starting at 6 pm and on to 11:30 pm) of acts that may just become the city’s rock superstars of tomorrow. Who is Sunmi, you may ask? Oh, just a former member of the well-known Korean act Wonder Girls. 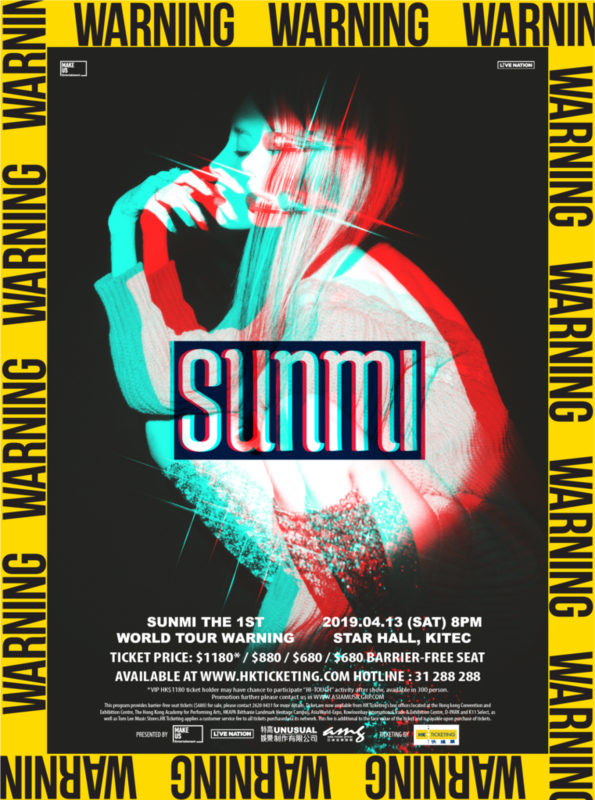 After leaving the group late in 2018, the singer released two EPs and was the recipient of the Best Female Artist Award at a recent Asian music awards show. Now on her debut world tour, the singer will likely appeal to fans who just can’t get enough K-pop these days. Like jazz? 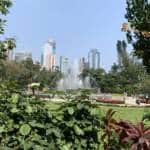 Well, you’re in luck as a two-day international extravaganza will take place on April 27–28 at the Queen Elizabeth Stadium in Wan Chai. It’ll be a non-stop marathon filled with all that jazz and then some as the goal is to expose long-time listeners and newcomers alike to the depth and breadth of the genre during International Jazz Day 2019. 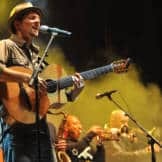 That means the Doctor 3 trio from Italy will play alongside Ulf Wakenius’s Scandinavian All-Stars Quartet, the gypsy-styled guitar sounds of France’s Angelo Debarre Trio, saxophonist Will Vinson and local musicians Patrick and Sharon Lui. There will also be a special appearance by well-known Hong Kong rock act Rubberband, as they put on their jazz hat. The lengthy event will feature workshops as well as a concert, in what promises to be a celebratory occasion to show off all that the genre has to offer. Josie Ho is well known as an award-winning actress on the local independent movie circuit. She also happens to be the daughter of Macau casino tycoon Stanley Ho. But in keeping with her free-spirited nature, she also fronts a formidable rock act. On April 6th at KITEC’s Star Hall, Josie & the Uni Boys will be showcasing a “Classic Purple Psycho Experience”. 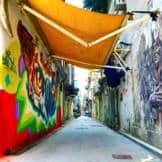 Translated, that means that many of the city’s leading independent rock and rap acts, including LMF, 24herbs, Qiu Hong and more, will be teaming up onstage with the group for a night of fun and mayhem. It’s the kind of 2.5 hour show where anything can happen—and probably will. She’s a model, and she’s looking good. Yes, that’s the chorus to one of Kraftwerk’s most famous songs. But the German electro-pop pioneers are known for much more than that. The group is singlehandedly responsible for influencing and transforming pop and rock music to its core since forming way back in 1970. 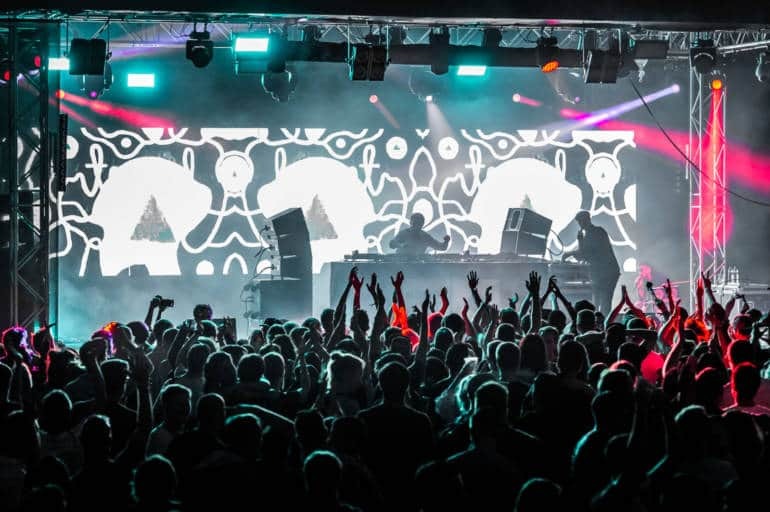 Showing that they more than keep up with the times, the group is returning to the city with their acclaimed 3-D tour, which features the group’s well-known electronica accompanied by spectacular visuals.